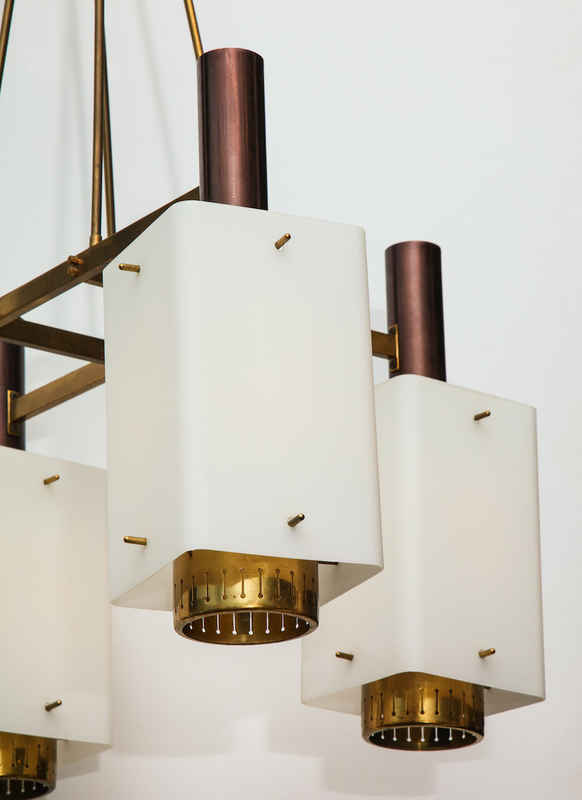 Brass fixture featuring 4 arms, each with a standard-size socket and heavy, frosted glass shade. h. 35" w. 29" d. 29"
Very good original condition. Oxidation & light scuffing to brass. All wiring and sockets have recently been replaced.